Truly, in genealogy, in the land of the blind, the one-eyed man is king. I had an experience with this principle just a few days ago. My friend was seeking information about his Great-great-grandfather. His Great-grandfather was born in 1894. All of my friend's family came from Oregon, but his Great-grandfather had been buried in Oklahoma. He thought his family had come from Oklahoma and began searching for information in the Oklahoma records. For some time, he had made no progress. One of the first things I noticed was the 1894 birth date. Hmm. What about looking in the World War I draft registration records? My friend was totally surprised. The thought that man in his twenties during World War I had registered for the draft never occurred to him. Truly, in genealogy, in the land of the blind, the one-eyed man is king. We quickly found not only his World War I draft registration, but also his registration for World War II! Guess where he was born? Oklahoma? Nope. West Virginia. From there we quickly found his father's family who were all living in West Virginia. What is the lesson here? The answer comes in one word: CONTEXT. Families do not live in a vacuum. Things happen all around and through our families. So how do we know what is going on at the time our ancestors lived? In case you missed the subject in school, it is called history. One way to make progress in finding your ancestors is to put them in their historical context. What was happening at the time they were born, or married, or worked, or died? What was happening in the community? In the county? In the state? In the nation? In the world? What would cause your family to move across the state or across the world? If you were living some time in the future, and researching a family in Mesa, Arizona right now, you might find them moving to another state. Could it be that they lost their home through a foreclosure? If you knew the historical context, you might be right. Many of the more recent database programs have a timeline option. The timeline will help to put your ancestors in a historical perspective and will immediately give you clues as to where you might look for further information. Changing county, state, district or province boundaries might also give you some clues as to where important records might have ended up being stored. There are several websites with extensive timelines. You might want to check out a few by searching on the term "historical timeline." But be careful, you might want to see if the timeline has events like World War I and World War II or even the U.S. Civil War. I found one called HyperHistory Online to be quite interesting and complete. You may even find a local timeline. Almost every advertisement for a digital product today will have some reference to the device's resolution. In the digital world, resolution has become like miles per gallon, torque or horsepower in automobile ads. It has become almost routine for the new model of any digital camera to claim a higher Megapixel count than the previous one. The real question is how much of this is advertising hype and how much of it should I care about as a genealogist? The first rule that needs to be explored is that no copy can exceed the quality of the original. 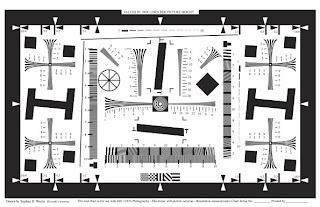 Creating a digital image involves the use of electronic sensors, usually in an array, that measure the reflected intensity of the source object or document and convert the continuous analog signal (i.e. the light rays coming from the object) into a discrete digital signal (i.e. individual pixels). The electronic sensors essentially count the number of photons that hit each different element and convert that number into a luminance intensity. Translated, what this means is that the light hitting the sensor is broken into tiny dots (pixels) each of which can vary in intensity. In contrast to photographic film in which the elements that react to light are on the molecular level, the sensors used for digitization have a finite size. Progress in electronics have continued to make these elements smaller and smaller, thus increasing the resolution of the device. More pixel density generally means greater detail or resolution in the image created. However, there is a physical limitation on the degree to which additional detail will convey more information. There is a rule called Shannon's sampling theorem (also called the Nyquist-Shannon sampling theorem and a few other things which usually is applied to analog signal transmission) which in this context, essentially says that the distance between samples should be less than half of the smallest interesting detail in the image. This means, once again translated into English, that there is no point in capturing more significant detail than actually exists in the source. If you are attempting to digitize an old deed, for example, there is no point in creating an image that includes information down to the molecular level. Even though physical reality has no apparent lower level of detail, at some point capturing more of that detail adds nothing to the information conveyed. If you examine a film photograph at high magnification, you will always see a limit to the resolution. Likewise, any digitization will be unable to go beyond the detail present in the original. (I am not talking about special filters or light sources that may bring out more detail than is visible under ordinary light, that is another topic). So the question is, what is adequate for normal archival reproduction of photographs and documents? Back to pixels per inch (PPI) and dots per inch (DPI). Archivists do not use these terms at all. They are more concerned about whether or not the thinnest line segment in the document is adequately represented by the digitization. This amount of detail is called pixels per line segment. The pixel count, whatever, should be high enough so that the thinnest line is covered by, at least, two pixels. The optimal resolution of the digitizing device is therefore determined by the document, not by an abstract number calculated from the device. So, the way to determine the optimal resolution is to review the target documents and scan at a resolution that will adequately preserve the detail of the thinnest line segment available. There are similar issues involved in scanning continuous tone documents, like film photographs, but the considerations become even more technical. Practically, optimal scanning of documents is achieved by scanning a various resolutions and then magnifying the digital image on a computer screen until the image's individual pixel elements can be seen in an area showing a thin line segment. It becomes apparent, at high magnification, whether or not the thin line segment is adequately represented by pixels. (In real life, those archivists who are concerned with this issue have special software to assist them in making this determination). In this regard, the higher the resolution (i.e more pixels or dots per inch) the greater the possibility that a sufficient amount of detail from the original will be preserved. But what may not be obvious, is the relationship of Shannon's theorem to this issue. More detail may not necessarily covey more information. Not every document needs to be digitized at the maximum theoretical limit. At some point file size becomes a greater and greater factor. So why do I care? I scan thousands of documents. I would like to know that my work is not being wasted. From a practical standpoint, I usually scan or digitize at a device setting which is normally represented as between 300 and 400 dpi or ppi. (Actually, these two are completely different measurements, but that is again another post). In some documents there may be a slight loss of detail, but on the whole, the losses are not significant. Increased levels of resolution on a digital device generally do not result in more detail, but simply increase the effective size of the image. Usually, 300 dpi is sufficient for a normal 4 x 6 inch photo reproduced at size. If you wish to enlarge the image, you will have to scan the photo at a higher dpi resolution such as 400 dpi, 600 dpi or even 800 dpi or more. But always remember, you can't plumb a dry well. No scan or digital photo is going to be any better than the original. Next post. To edit or not to edit photographs, that is the question. Several people have asked me lately about the newly advertised hand-held scanners to use for genealogical research and document preservation. The questions remind me of a common problem, whether to purchase a general purpose tool or one that is specifically designed for one purpose only. I have mentioned before that I am a tool person. I have learned with a lot of trial and error (read a lot of trials and errors), that some jobs require a specific tool. This perspective has gotten me into a lot of trouble at times, like trying to find the "right" lineage linked database program among all the offerings. But, in the area of document preservation the options are a little more clear cut and somewhat obvious. Hand-held scanners are not a new innovation. Neither is the technology new. I can remember testing and using these smaller devices, at least, ten or more years ago. With scanners and other digitizing methods, the reality is not usually consistent with the advertising hype however. Personally, I see no use whatsoever for portable hand-held wand type scanners. Their quality is not near that of an inexpensive digital camera and the camera is a much more useful device. But to make an educated decision, first, I need to have some definitions. Digitizing means to take a physical object or document and make a digital image. This can be done with a digital camera, a flat bed scanner, a sheet fed scanner, or one of the hand-held variety. You could also use any kind of video device including a video camera or camcorder. In today's market digitizing devices can cost anywhere from under $100 dollars to over $30,000 dollars or much more. With such a huge price range, there must be a lot of difference in the devices? Maybe, but depending on your needs and the requirements of the job you may have a pretty narrow range of options. What does make the choice more difficult is the fact that there are literally dozens of models of scanners at each price range to chose from. There is an exception however, with the very high priced scanners, they tend to be very specialized. But if you are in the market for a device that costs over $10,000 I hope you know what you are doing. How are you going to use the scanning device? Hand-held or bar scanners are cheap and relatively low resolution. Some scan only as low as 200 dpi. Most flat bed scanners today start at about 4800 dpi x 9600 dpi. (I will have another post about this term "dpi" in the near future, but right now, you can think of it as a rough comparison of the amount of detail the scanner or device will preserve). A hand-held device may be convenient for quick note taking in a library, but totally inappropriate for scanning photos for archive purposes. Do you have a huge pile of documents or are you mainly scanning old photographs? How large are the documents and photos? The answer to each of these questions will immediately limit the type of device you use. How much scanning are you going to do? If you have a few hundred documents or photos, quality should be the first concern and it may not matter that much how fast the scanner operates and produces an image. On the other hand if you are going to do thousands of documents or photos, you may wish to consider a more specialized sheet fed scanner or a higher quality digital camera. Where are you going to do your scanning? If you have a fixed location in an office, kitchen, bedroom or whatever, you may wish to have more extensive equipment. If your location is very limited or always onsite, you may wish to go with a more portable device, a smaller scanner or a digital camera. What are you going to do with the images once they are scanned? 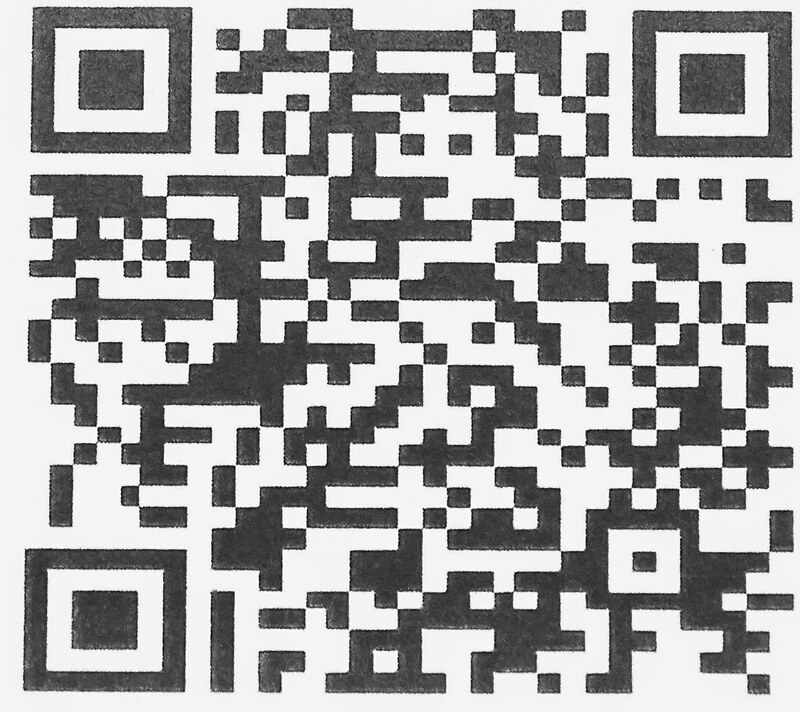 If you are concerned about long term archive quality, your scanner or other device will have to qualify at that level. There are however, some minimal levels of quality that need to be addressed. (Hmm, another topic for the future). As with any tool, you may want to have a flat bed scanner for a fixed location scanning project and a digital camera to use in field or at a library. All digitizing devices today are designed to be used in conjunction with a computer or printer. You may need to determine if your computer can support the newer devices. Scanned or digitized images can take up a lot of computer memory and older machines my simply not be adequate at any level to handle the images. If you have questions, please send me your comments and I will address the issues in future posts. Genealogists' stock in trade are names, dates and places. I have been thinking about names. My name "James" happens to be the number one most common name in the U.S. (according to some sources). John, Robert, Michael and William round out the top five. The top five for women are Mary, Patricia, Linda, Barbara and Elizabeth in that order. Now, we aren't talking here about popular names. The Social Security Administration has a website listing the most popular names by year back to 1879. The year I was born, James was also the most popular name. In fact, in that year, the top five are almost the same as the all time most common names. Going back to the earliest data in the Social Security Administration database, 1880, (compilation from the year preceding) John, William and James are still the top three. If you know a little history, you might recognize King John, King William (William the Conqueror) and King James (as in the Bible edition) which might explain their popularity or maybe it was the other way around. If you have English ancestors, their names are likely to resemble the normal distribution for the popularity of names with some possible notable exceptions for families with traditional or imaginative proclivities. Even if your ancestors came from someplace else, like Germany, Poland, Russia, or a Spanish speaking country like Spain or somewhere in South or Central America, the names given to your ancestors by their parents, likely conformed to the most common for that particular language. Unfortunately, for future genealogists, naming patterns and even the most common surname patterns are undergoing a radical change. I went to pick up something up at the store for my married daughter and the store clerks could not find it in their files. Why? Because it was under her Tanner surname not her married name. She had given them her compound name. Where did my daughters get this practice? It couldn't be because their mother, my wife of 43 years, still uses her maiden name as her middle name when signing almost everything? Could it? In today's world, Mary Jones living with John Brown may be happily married. What about really unusual or not so common names? Lucky is the genealogist who finds a relative with an unusual name. Do you realize how many people can have your same name unless your parents had the foresight to name you after some remote ancestor who had an unusual name? Do you also realize how much grief that unusual name has caused that person forced to tell his or her schoolmates that name when asked by a teacher? On the other hand, if your ancestors were not possessed with imagination and re-used the same names over and over, it can be extremely hard to differentiate the generations if all of the males were named John Smith or James Brown or whatever. See Baxter, Angus. In Search of Your British & Irish Roots: A Complete Guide to Tracing Your English, Welsh, Scottish, & Irish Ancestors. Baltimore: Genealogical Publishing Inc, 1991. You might want to check out the naming pattern in the particular country of your ancestors' origin. 2. Watch for use of ancestral surnames for proper names. My Grandfather's middle name was Parkinson, his mother's maiden name. (This is also another reason for not using ancestral names as some sort of security password, like the mother's maiden name etc.). Finding an unusual middle or first name may indicate the surname of some not-to-distant ancestor. 3. Look for people with the most unusual name first. When looking in a database for an ancestral family, if the father was named John Smith, perhaps one of the children was named Mordicai. You may not be able to identify someone from a sea of Johns, but Stetson or Remington might do the trick. 4. Don't get hung up on spelling. Prior to the mid-1800s very few people were "good" or consistent spellers. English and most other languages did not have any kind of standard spelling conventions until very recent history. If your ancestor was illiterate, it did no good asking him or her how their name was spelled. This rule goes doubly for surnames. Tanner has been spelled, Tamer, Tonner, Turner, and many other variations by indexers, enumerators, and all sorts of people filling out deeds, forms and about any other document imaginable. 5. Look for repetitious patterns in names, but not too seriously. This rule contradicts the first rule. Just because you find someone with the same name does not mean that person is the "right" person or even related. Just because there was a naming pattern does not mean your ancestors followed the pattern. They may not have gotten along well with the next ancestor in line. 6. Watch for people who changed their names. The reasons for name changes are practically infinite. Many immigrants changed their names to sound more native. The method of change is varied and inventive. For example German Klein could become English Small and so forth. One of my wife's ancestors came from Sweden and changed his name in Navy after the name of an island. Many people who suddenly disappear, may have just changed their names. 7. Watch for modified patronymics. Patronymics are equivalents of "the son of..." or "the daughter of..." Many genealogists recognize -son, -sen as patronymics, but how about Mac or Ap or more unusual ones like Fitzroy which means, in essence, "king's son" usually illegitimate. In Spanish most all of the surnames ending in -ez (i.e. Lopez, Hernandez etc.) are patronymics. At some point, most patronymic systems, such as the Danish one, broke down with a time period of a mixture of standardized surnames and continued patronymics, even with the same person or family. Jens Petersen, may have children named Petersen as well as Jensen. That's enough examples for now. It helps to read a little and study some also. Knowledge is power, especially in genealogy. Ignorance is not bliss. It is just ignorance. Don't rely on tradition, look at the sources! Family tradition can become almost hallowed. Repetition is extraordinarily pervasive in genealogy. As a result, it is absolutely necessary to look at original sources whenever possible. I have used this example a few times before, but it is a good example and bears repeating. From this record there are two things that contradict much of the folklore in my family history. Our family has traditionally spelled my Great-great-grandfather's name with an "i". However, it is clear from this record that someone spelled his name with a "y". By looking at this "original" source can this controversy be settled? The answer is no. There is no way to determine who provided the Census data to the enumerator. There is also no way to determine if the spelling originated with the enumerator. So what should be done? Do not rely on tradition to determine things like name spelling. I have been helping people with their research and come across this problem and had the person say, "That can't be my grandfather (whatever) he spelled his name with an "i". Alternative spellings are very common, especially, as here, in the mid-19th Century when some of the people were not literate. By the way, Sidney spelled his name with an "i" when he wrote it. Also, if you were searching for Sidney, you may overlook the alternative spelling. Don't rely on family tradition as to how the name was spelled. I could go on and on, there are many more examples. Note the last entry in the snap shot lists only California (abbreviated no less) as the birth place. A few minutes with any number of books or online sources will show the date San Bernardino County was organized, 1853. 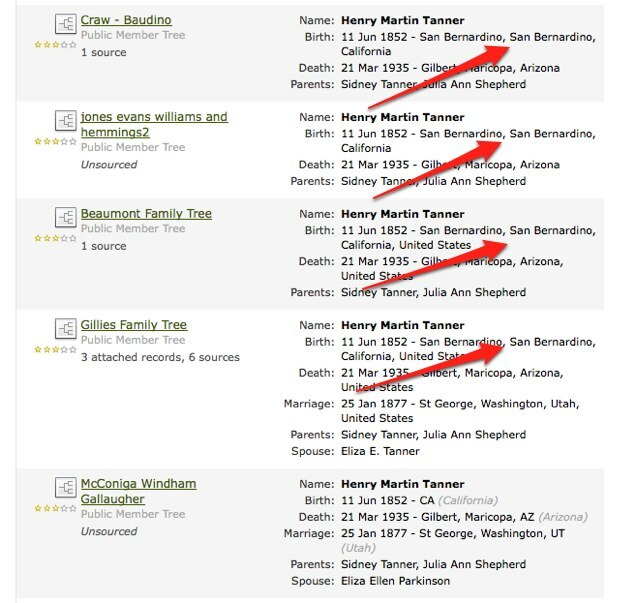 So, if Henry Tanner's birth date is accurate, he was born in Los Angeles County. Who cares? In this case it is going to be impossible to correct all of the hundreds of citations to the wrong birth place. But imagine you are looking for a relative in an eastern state, such as Ohio or Pennsylvania. Do you think the county boundaries have changed in the last 150 years? You bet. For an example, using Pennsylvania, see Genealogical Maps of the counties of Pennsylvania. Department of Internal Affairs. Thomas A. Logue, secretary. Compiled and prepared by the Bureau of Land Records - 1933. There are several online renditions of this map. You can also use a program such as AniMap, from Goldbug Software. Another note, how would you find Sidney Tanner in the 1852 California Census if you thought he was born in San Bernardino County? Assuming you did not have a computerized index? Another note, how many researchers even know there was an 1852 California Census? This example is applicable on a number of levels. The correct information is readily available but the incorrect information has become a family tradition, published so many times that no one would question its authenticity. What is worse, is that nearly all of the people who have this listed incorrectly, when it is called to their attention react with "Who cares it is close enough?." In genealogy wrong is not close enough. We can all take a lesson from the Pilgrims' response to their safe arrival in the New World on the tiny Mayflower. My daughter's husband is a descendant of William Bradford, while I, and my daughter of course, are descendants of Francis Cooke and Richard Warren. See TheAncestorFiles for a complete explanation. But here I cannot but stay and make a pause, and stand half amazed at this poor people’s present condition; and so I think will the reader too, when he well considers the same. Being thus passed the vast ocean, and a sea of troubles before in their preparation, … they had now no friends to welcome them, nor inns to entertain or refresh their weather-beaten bodies, no houses or much less towns to repair to, to seek for succor…. And for the season it was winter, and they that know the winters of that country know them to be sharp and violent and subject to cruel and fierce storms… If they looked behind them, there was the mighty ocean which they had passed, and was now as a main bar and gulf to separate them from all the civil parts of the world. If it be said they had a ship to succor them, it is true; but what heard they daily from the master and company? … Let it also be considered what weak hopes of supply and succor they left behind them, that might bear up their minds in this sad condition and trials they were under; and they could not but be very small.… What could now sustain them but the spirit of God and his grace? 1Praise the Lord, because he is good: for his mercy endureth forever. 2 Let them, which have been redeemed of the Lord, shew how he hath delivered them from the hand of the oppressor, 3 And gathered them out of the lands, from the East and from the West, from the North and from the South. 4 When they wandered in the desert and wilderness out of the way, and found no city to dwell in, 5 Both hungry and thirsty, their soul fainted in them. 6 Then they cried unto the Lord in their trouble, and he delivered them from their distress, 7 And led them forth by the right way, that they might go to a city of habitation. 8 Let them therefore confess before ye Lord his loving kindness, and his wonderful works before the sons of men. Guess what? Nearly all of the information in these helpful guides has been seeded into the FamilySearch Wiki. Although presently, the Wiki can be accessed from Wiki.FamilySearch.org, The Wiki has been almost completely integrated into the Beta.FamilySearch.org website. For example, a search in the Beta site under the "Learn" tab takes you directly to the Wiki. There is nothing on the startup page however, that indicates either the scope or amount of information available. It might be nice to have a link to a page saying something like, "About this Website" which could then explain in more detail the resources available and even give a brief introduction to the Wiki resources. Another idea is that it might say something like, "Click here for information about the resources available from FamilySearch on this site." Anyway, click on the Learn tab and you are taken to the Wiki. Now, type a subject or whatever into the text box and chose your subject from the list. When I typed "german handwriting" into the box, I was immediately taken to an article with a number of useful links to deciphering German handwriting. The obvious advantage over the static published Research Outlines is that the information is current and kept up-to-date by the Wiki community. Reminder, if you find information in the Wiki that you think is wrong or out-of-date, take the time to join the Wiki and correct the information. As a collaborative website, the Wiki will become more useful in direct proportion to the number of people who contribute. Understanding digital cameras -- what is resolution anyway? I was reading a Blog post that made recommendations to genealogists about purchasing a digital camera. One of the items repeatedly mentioned, but not explained was the camera's resolution. The only comment made for each level of camera was that the resolution was "good enough" for genealogists. Please understand I am not being critical of the overall message of the post, I am merely observing that the information may have been incomplete concerning a camera's "resolution" and given a false impression. If you would like to see what ultimate resolution looks like, try zooming in on London on 360Cities.net. Believe me, this photo is not something you can do at home with your $300 camera. But let's get serious, what is camera resolution all about. The photo is reference of London holds 80 gigapixels of information in one photograph. That's approximately 8,000 times as much information as the average 10 Megapixel digital camera. Image resolution is a general term that applies to the detail an image holds whether it be from a digital, film or other type of image. Put as simply as possible, the higher the resolution the higher the image detail. Warning, from here on I get a little bit technical. The one most familiar way of referring to resolution to owners of digital cameras is pixel resolution or pixel count. It is usually expressed by two whole numbers such as, 640 x 480 or something similar. It can also be expressed as an approximate number of the total number of sensors in the camera expressed as pixels usually in megapixels. Megapixels can be calculated by multiplying the number of pixels, or image units, per column by the number of pixels in row and then dividing by one million. None of these pixel resolutions refer to a true resolution, they are merely an approximation. Doubling the number of Megapixels does not double the resolution it only increases the resolution by 40%. Pixel count is a square function. A tiny linear resolution increase results in a huge total pixel increase, since the total pixel count varies as the total area of the image, which varies as the square of the linear resolution. For more information on this subject search under the terms, "megapixel myth." Spatial resolution measures the number of lines that can be resolved in an image. Spatial resolution depends on the whole system including the lens. For example, if you purchase a 5 Megapixel camera with an exceptionally good lens, your resolution could be better than a camera with a 10 Megapixel sensor and an inferior lens. The rule in photography is that the picture will never be any better than the camera lens. In another example, the highest resolution camera in the world will not produce a high resolution photo if it is out of focus. If you are concerned about the clarity of an image, then you need to address the number of independent pixel values per unit length. Some of the other types of resolution are spectral that refers to the resolving differences in the light wave length and radiometric which measures the differences in intensity expressed as the number of bits such as 8 bits or 256 levels of gray. OK, so here is the crux of the whole discussion, the resolution of an image produced by any particular camera depends on the whole camera system. A high megapixel count may be negated by a poor lens that gives a fuzzy image. The best lens in the world, however, will not produce an image resolution that exceeds the pixel count and the quality of the camera's sensors. Lenses are usually rated on their ability to resolve an image. To some extent, you get what you pay for. You cannot expect that an inexpensive point and shoot camera will have a lens that is comparable to a more expensive interchangeable lens camera. The new compact digital cameras come with sensors advertised as having 10 or even 12 or more Megapixels. But the lenses that come with such cameras are seldom as good as the cheapest interchangeable lens camera. 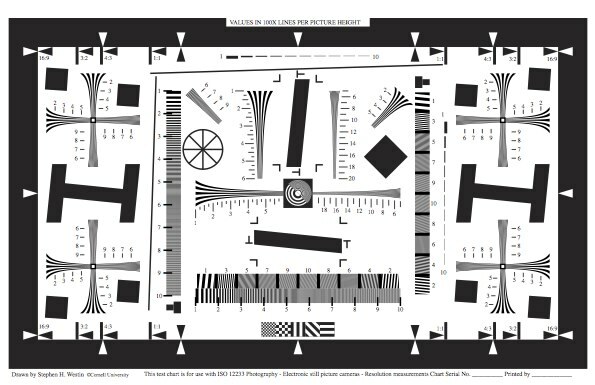 This is a snap shot of an ISO 12233 Test Chart used to determine the resolution of lenses. The actual chart is 15.75 inches by 8.45 inches. Click here for a printable version of the chart. To summarize, the resolution of a final picture is a function of the entire camera system, the lens, the focusing ability, the number of sensors (Megapixels) and the overall quality of the components. Most pictures that are shot with a hand held camera are probably slightly out of focus. Now what does all this mean to a genealogist? If you are taking photos of people and events, almost any of the commonly available point and shoot cameras do an adequate job. I am partial to Canon, but Nikon and many other brands have good quality cameras. If you are using your camera for taking notes while doing research, the same point and shoot camera will do an adequate job. However, if you are taking photos for the purpose of archiving documents you should probably be aware that even expensive digital cameras do not do as good a job as a flat bed scanner. You might also like to know that archivists presently use cameras in the 50 Megapixel range costing thousands of dollars. René Descartes in his influential book Discourse on the Method of Rightly Conducting the Reason, and Seeking Truth in the Sciences, [Descartes, René. Discourse on the method of rightly conducting the reason and seeking truth in the sciences. [S.l. ]: Project Gutenberg Association, 1993], in part, addresses some of the fundamental ways of applying an early formulation of the scientific method. Those who attempt to do genealogical research could well implement some of his methods. I was early introduced to to Cartesian thought through the study of linguistics. A book influential in my intellectual development, at the time, was Chomsky, Noam. Cartesian Linguistics: A Chapter in the History of Rationalist Thought. New York: Harper & Row, 1966. Descartes was the originator of what has been termed, "Cartesian Doubt." It is not my intention to apply this in a philosophical sense, but more in the classic scientific methodological sense, that is, to doubt, automatically all knowledge and thereby ascertain what cannot be doubted. Application of this method to genealogy starts with only accepting as proven those facts that are beyond doubt or to put the concept into a legal terminology, accepting those facts that are proven beyond a reasonable doubt. Why is this necessary? It is a cliché in genealogy that we advance our knowledge of our family history by moving from the known to the unknown. Unfortunately, very often insufficient time and effort are spent in first ascertaining a knowledge of the known before proceeding to extending our investigations to the "unknown." In so doing, the researcher is often accepting as true that which is unproven and even wrong. Descartes' method can be analyzed into four discrete steps: first, accepting only information you know to be true (beyond a reasonable doubt) or which is not clear and distinct; second, analyzing these truths into smaller more manageable units, that is, taking the information you do have and determining which, if any, of the facts needs further proof, part by part; thirdly, solving the more simple problems first and thereby understanding and thereby, by establishing an order of study (or as the genealogist would say, a to-do list), fourth; complete listing those things that are not yet known, without omission, that require further investigation. I do not go quite so far as Descartes in that I do not hold that proof is necessary not only beyond all reasonable doubt, but beyond all possible doubt. A reasonably exhaustive search has been conducted. Each statement of fact has a complete and accurate source citation. The evidence is reliable, and has been skillfully correlated and interpreted. Any contradictory evidence has been resolved. The conclusion has been soundly reasoned. The object of this present analysis is to address is to focus on element number three, the determination of whether the evidence is reliable and has been skillfully correlated and interpreted. In my words, has there been a sufficient foundation laid of evidence that has been proven, to justify an extension of that evidence to further investigation. In this regard, many, many researchers assume that by filling in the few boxes on their genealogy program, they have answered that question in the affirmative. I will return to an example I have used many times before because of the example's application to this principle. Henry Martin Tanner was born in California in 1852. This is a fact that has been proven, beyond any reasonable doubt. What was never proven, but recorded thousands of times, was where he was born in California. Uniformly, because of a lack of knowledge of the historical fact, his descendants recorded his birth in San Bernardino County which was not formed until 1854. I will not comment presently on the practice of simply ignoring the issue by omitting the detailed information entirely. I have seen enough Marys born in Ohio in 1850 to last me a lifetime. To most, this distinction seems picky and trivial, but how many genealogical searches have been terminated unsuccessfully simply by virtue of the fact that information was being sought in the wrong county? In my case, the correct information could only be determined by doubting even the most widely accepted of facts, a fact that that was recorded in published books copied as canonical by the thousands of Tanner descendants. Now back to Descartes. He said, "I reckoned as well-nigh false all that was only probable. As to other Sciences (including genealogy, my insertion), inasmuch as these borrow their principles from Philosophy (I would say tradition), I judged that no solid superstructures could be reared on foundations so infirm." Unless there is a stout core of doubters in the genealogical community, there is no hope of moving forward with additional verified information and we will be caught in a cycle of merely copying the errors of all those who failed to doubt in the past or for whatever reason, laziness, perversity or whatever, passed along inaccurate and misleading information. But we must understand that moving from the known to the unknown, requires knowledge of the known. At a recent seminar, I had an opportunity to speak with Janet Hovorka of Generations Maps who writes a Blog entitled, "The Chart Chick." 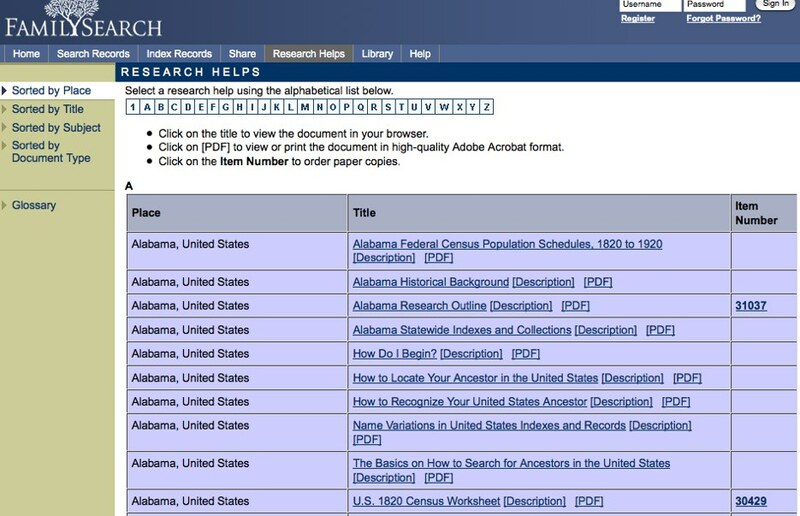 (Aside, check out the fabulous charts and other publications that Generation Maps can print for genealogists). Janet asked a question about the application of privacy laws to the issue of printing charts and subsequently the issues of putting information online. As a result, I decided that this was an interesting topic. Privacy is essentially a cultural phenomena. Public discussion of certain topics is considered either appropriate or taboo depending on the cultural context. For example, what is discussed in a home may be considered inappropriate in a more public context. Likewise, what is said to a lawyer, a doctor or a religious leader could be considered protected from even legal discovery under some circumstances. So, before getting into any legal discussion of privacy, it is important to recognize that very little of what we consider to be private actually is considered to be legally private. Let's use the example of a Social Security Number. Many people would consider their Social Security Number to be "private information." However, nothing could be more public. There are too many circumstances to enumerate where it is mandatory to provide your Social Security Number. Failure or refusal to do so can have a multitude of results from failure to obtain a loan or financing or failure to allow enrollment in many government programs. Failure to provide a Social Security Number to a prospective employer could result in the employer's refusal to offer a job. So how is a Social Security Number private? What if I published someone's Social Security Number in a genealogy post online? Other than being stupid, would I be violating some privacy law? Misuse of the number might be a criminal act but merely revealing the number to the public is not a breach of any privacy law I am aware of. Driver's licenses, mailing labels, and sometimes publicly posted progress reports at universities often use Social Security Numbers. In this context, privacy is not an issue. For further information see Computer Professionals for Social Responsibility. So what is privacy? As you can see so far, this is not a cut and dried subject. Common belief is rarely supported by any specific legislative mandate. At the core of the so-called privacy issue is the question of the availability of information, not just private information but any information. There is always a balance between privacy and society's interest in protecting itself from danger. The wrong kind of privacy law could protect not only your medical records but also protect a potential terrorist from detection. Although everyone seems to know what is and what is not "private" the real definition is hopelessly complicated. One Federal law is called the "Electronic Communications Privacy Act of 1986" 18 U.S.C. § 2510. The Act protects wire and oral communications from disclosure except by duly issued warrants, that is it limits wire taps. Another Federal Act called the "Family Educational Right to Privacy Act (Buckley Amendment)" 20 U.S.C. Section 1232g, protects the privacy of student education records. There are very few such acts and none of them pretend to define "privacy." Don't publish information about living individuals on a public database. Ask permission before putting any information about living individuals online public or private. Do not reveal family secrets or any other embarrassing information online. Do not publicly post photographs with identifying personal information of living people. It would be highly unpredictable of the consequences of violating any or all of these guidelines. They are just that, guidelines. In every case, whether to post information or not is a judgment issue. As usual, comments and questions are welcomed. Please be aware that nothing in this post should be considered legal advice for any particular personal issue or question. The opinions are those of the author only. I once went to a motocross event. I knew almost nothing about motocross and was amazed at not only the number of people who attended, filing a large stadium, but also the amount of advertising and promotion that went along with the participants. After watching the show, I decided that I was not that interested in watching motorcycles race around in a circle and fly into the air. What the experience does point out however, is that there are whole lot of different interests in the world and some of them are widely popular. Genealogy is obviously not a whole lot like motocross, but both have their adherents and what I don't understand, their detractors. I can understand why someone would like football games, baseball, motocross or whatever, what I don't understand is why someone would actively oppose any of these activities. I happen to know people who hate football and even baseball. I also know people who hate genealogy. They not only hate genealogy, their dislike carries over to people who like genealogy. I am aware that there are people who avoid me, simply because I am a genealogist. I am aware that many people have prejudices, some of which are totally unjustified or irrational. But prejudice is real despite its justification or lack thereof. It is just strange to me that people would put genealogists in a category subject to prejudice. That is one thing I do not understand about genealogy. Another strange thing about genealogy that I don't understand is why some people seem to believe that "their method" of doing research or recording sources is correct and everyone else is wrong. I am not sure how they determine their rightness and everyone else's wrongness. I was not aware that there were any rules to the "game of genealogy" and that people who didn't follow those rules shouldn't be practicing genealogy. In making this comment, I am not talking about standards. Standards are necessary. It may even be necessary to have a standard method of citation. What I don't understand is who made someone a member of the genealogy police? I also have a hard time with people who think genealogy consists only of copying what is already published online or in a book. I heard someone today comment that they had gone on to an online family tree and found their "family came from Germany" something they did not know before. I do not understand why that person would automatically assume that the information online was correct and/or accurate? I doubt if I will live long enough to understand why people consistently characterize genealogy as an "easy" activity. In all my years of research, there is nothing easy about what I have done. It is not easy to sit all day in a library and go through microfilms. It is not easy to spend day after day doing an activity that no one around you either appreciates or cares about. Please do not misunderstand. I like doing genealogy. I will keep doing it even if I receive no recognition at all from any family members. But it is not easy. It is a very intense and complicated activity. I will never understand people who throw away other people's genealogy or family photos because they see no need for them. Again today, I heard a comment from a person who related that they had found a lot of old photographs and didn't recognize any of the people and so threw them away. This comes from people who save cereal boxes because they may become valuable cultural artifacts they can sell on E-bay. I don't understand why people who find a name in a public database now believe that their genealogy is done. They are kin to the people who have been handed a pedigree or database file and immediately assume that no more research needs to be done, even when they have no idea what is in the file. I do not understand people who think that there is only one reason to do genealogy and since that reason doesn't apply to them, they have no interest in the subject. I won't say anything more about this reason. I don't understand the use of the word "done" when referring to genealogy and/or family history. What does that mean? I believe it has no meaning, it is just a weak excuse for lack of interest. Now, I do not mean to imply by this post that I think everyone should be involved in genealogy. Even if I believed that, it would be a very impractical belief. But I would point out that no one ever died from an overdose of genealogy. No one ever died in a genealogy crash. No one ever got a concussion or broke a bone from doing genealogy (except those of us who are old and infirm who would have fallen anyway). The only thing I can't say is whether anyone ever went crazy from doing genealogy. I think that might be a distinct possibility. Your comments are always welcome. Some time ago, FamilySearch started a wiki. Genealogy is one of those areas of study that thrives on collaboration and the wiki is the quintessential form of collaboration. It is common that in any given family there will be only a small handful of family members who are interested in or even care about their ancestors. But across the world, there will always be large numbers who are not only interested, but motivated to keeping and researching family history. If these people can communicate easily and quickly, all will benefit even if they cannot find anyone in their own family who will listen to them. As an aside, perhaps there needs to be a discussion of the terms "family history" and genealogy (from Greek: γενεά, genea, "generation"; and λόγος, logos, "knowledge"). It seems that there are those who make a distinction, for one reason or another, between the two terms. Perhaps out of a concern that the term "genealogy" has a certain amount of negative baggage or connotation. From another perspective, I am sure there are those who revel in claiming to be a "genealogist" rather than a mere "family historian." But the most common definition of genealogy is the study or investigation of ancestry or family history. I use the terms interchangeably. Problem: The Internet is rapidly changing and evolving and it is impossible for any one person to keep up with all the changes. Solution: A wiki is a community of people with an interest in sharing information on the Internet. Because a wiki involves a lot of people, it is more likely that anything new or any changes to existing information will be incorporated into the wiki shortly after they happen. 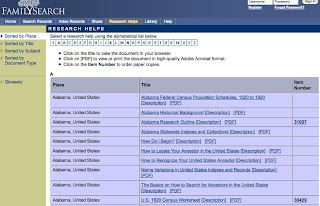 Problem: Genealogy involves the use of record sources that are sometimes obscure or generally unavailable. It is very difficult for a researcher to know where all these records are located and how to access them. Solution: A wiki, by its very nature, will accumulate all sorts of detailed information about records and sources. If those involved in an area of specific research share that information on the wiki, it becomes available to all. 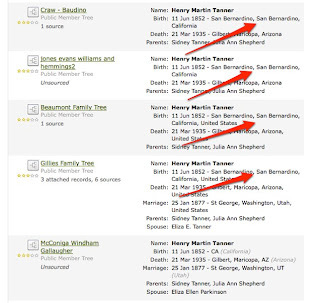 Problem: A new genealogist or family historian (whatever) usually has no idea where to start and help from more experienced researchers may not be readily available. Solution: If experienced researchers incorporate their experience into a wiki, everyone has equal access to the knowledge and experience. Problem: There may be a large number of different and contradictory opinions about where or how to do research. Solution: A wiki, through its collaborative nature, moves towards a consensus on every subject. If there is a disagreement on an issue, the wiki can reflect the various disparate opinions. Problem: As a researcher grows older, he or she may be concerned that all the information they have learned about genealogy will be lost. Solution: If the seasoned genealogists will share their insights and information on a wiki, all of the cumulative knowledge they possess will be preserved, whether or not their relatives care or not. Even though I could go on, perhaps from this list, you can begin to see the power of a wiki in solving research problems. In fact, one of the unsolved problems of a wiki is that the information will become so complete and comprehensive, that future researchers will find it harder and harder to find things to add. If you would like to start seeing the solution to the problems, go to Beta.FamilySearch.org and click on the "Learn" tab. I just happened to be in Utah helping with my daughter's family while she had a new baby and took advantage of being in the vicinity to go to the new Riverton FamilySearch Center for a seminar featuring David Rencher, Chief Genealogical Officer of FamilySearch. I guess I should include his whole title; David E. Rencher, CGO, AGCM,CGSSM, FUGA, FIGRS. For those of you unfamiliar with Utah, most of the communities in northern Utah are situated along a generally north/south line of mountains. In the Salt Lake area the Wasatch Mountains create what is locally called the "Wasatch Front." To the west of Salt Lake City is the huge Great Salt Lake, a remnant of an ancient body of water even larger called Lake Bonneville. Since Salt Lake City and almost all the other communities were settled by members of The Church of Jesus Christ of Latter-day Saints, there is a noticeable commonality in street names and numbering patterns throughout the towns and cities. In Salt Lake and most other communities, streets are numbered north, south, east and west. So in Salt Lake you will see an address such as 1200 South 2500 West. This system is really a simplified coordinate system and will give those familiar an instant idea of where the address is physically located. The Riverton FamilySearch Center is located at 3740 West Market Center Drive, Riverton, Utah 8406. The Center is located in a large new building at about 134th South, which means it is in the extreme south end of the Salt Lake Valley. The seminar was planned for three hours as a standard "3rd Saturday of every month" seminar. David Rencher and I happen to come from the same small eastern Arizona town which is sort of like being from the same club. But doesn't really mean anything other than creating a sense of belonging. He just returned from a trip to Boston. His presentation was "What's New at FamilySearch." He acknowledged that the changes at FamilySearch make it difficult to keep up. (Tell me about it). He acknowledged the difficulty of integrating a huge existing collection of data into the new paradigm. He began by talking about the product life cycle and talked about the FamilySearch products at the end of their life cycle, including Personal Ancestral File. What follows is my summary of what was presented and any inaccuracies are completely my own. Observation on the audience, I was not the oldest person out of about 250 people who were there. I went disguised as an old guy with white hair, which turned out to be a perfect disguise. He list several products that were definitely at the end of their life cycle. Foremost among those was Personal Ancestral File. He recognized that the program was still used and useful but that new technology could make the program totally obsolete at any time. He spent more time with the products at the beginning of the product life cycle. The products at the beginning of the life cycle include FamilyTree, FamilySearch Wiki, FamilySearch Standard Finder, RecordSearch, and FamilySearch Indexing. FamilySearch will continue to develop new products for the reason that the information landscape changes with every new idea. The main challenge of FamilySearch is eliminating barriers between programs and services so that they are integrated. He highlighted FamilySearch Labs and talked briefly about the advantages of testing the programs before release. He spent some time talking about the demise of Personal Ancestral File and the advantages of migrating to new third-part program that synchronizes with New FamilySearch (which is referred to as Family Tree). He acknowledged that old FamilySearch's old CD products took a long time to adapt to the new systems. The International Genealogical Index will not migrate to the new system but the information will be available. Pedigree Resource File will also end soon even though they receive 1 million names a month in submission. The Family History Library Catalog on CD is very outdated, so the CD version is not recommended. 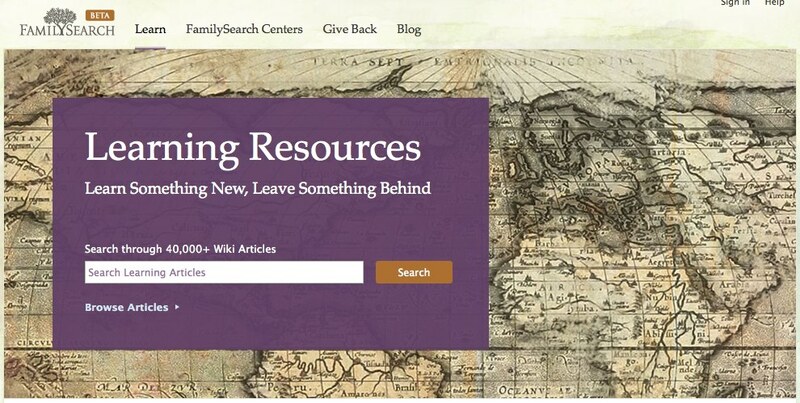 Research Guidance in the old FamilySearch.org program is migrating to the Research Wiki as also are all of the paper publications. Microfilm technology is completely outdated by digital technology primarily because few companies are still supporting film technology. Only Kodak still supplies film for copies made by the Family History Library. Because of the lack of supply, the price has increased to about $50 a roll. It is not economically viable to make copies and store the copies. Because of storage costs, it is less expensive to reproduce the film and destroy the unneeded copies. Scottish Church Records are subject to issues with Scotland concerning the fact that Scotland wants to charge for the records. The Scottish Church Records will only be available on DOS systems for the time being. New FamilySearch was created to create more identifiers to avoid duplication of Church ordinances. In the process of doing family history, there will be some duplication as the program is refined and upgraded. There is corrupted data and he cautioned participants to not spend much time worry or doing anything right now about the bad data. He emphasized more than once, that that users should not spend that much time correcting data. The FamilySearch Wiki is an information sharing media. A place where everyone involved in genealogy can share what they know with others. Contribute your information before your descendants throw it away. Standard Finder is a new product. If you type in a place name or surname, the Standard Finder will return all of the variants. You can add a variant which will then be used by the FamilySearch search engines for all of the products. If your name is not there, then you can see what is being used by the catalogs. Scanning project of 2.4 million rolls of film with 1300 images on the average. Images are now being captured in the field in digital format. 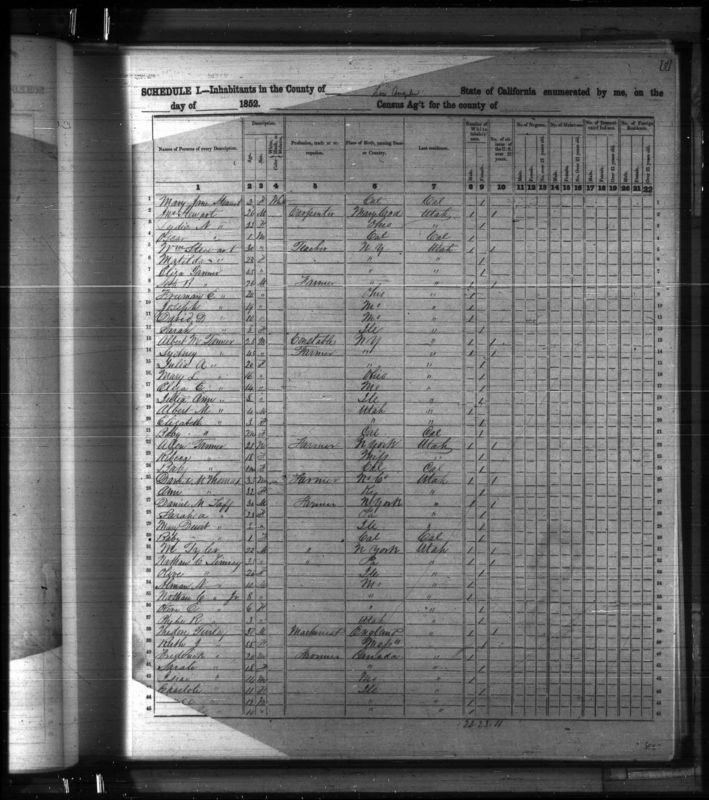 All of the images from the scanning project are going on to the Beta.FamilySearch.org website. The Beta site will be converted from the old FamilySearch.org site before the end of the year. (We will wait and see). FamilySearch is daily updating and improving all of the search functions for all of the programs. FamilySearch Indexing produces about a million names a day from about 300,000 indexers. 400 million names have been indexed so far. Volunteers are needed to increase the production to 500 million names a year. FamilySearch Book Scanning is digitizing with the BYU Family History Archives. This was only mentioned briefly. David Rencher concluded with a short discussion of the FamilySearch support system, worldwide with more than a 1000 subject areas. All of the current products are being supported, more than 50 different products. I found the information to be well presented, concise and informative. There were even a few things I did not know (actually more than a few). The Riverton FamilySearch Library is very impressive and has a lot of user computers. The classes were very well attended but the Library itself was only sparshly populated. The advantage of using a reader or aggregator is that you avoid having to individually open the sources. Most aggregators provide some sort of preview mode, where you can read either the whole post or a portion before actually going to the website. If you monitor a large number of sites, you may begin to get overwhelmed with the number of feeds you receive each day. My suggestion is this, don't feel obligated to review every one, every day. You can also use an online program such as WatchThatPage, to get feeds from web pages that do not have either type of syndication.